Caldera Yachting represents the absolute experience of sailing with a luxury catamaran. S/Y Atlantis, a 42 feet Lagoon catamaran, built in 2010 is famous for its outstanding comfort and unique style. We organize exceptional cruises around Santorini to make your days on our island an unforgettable experience. We assure you efficiency and responsive service for all aspects of your journey. S/Y Atlantis professional staff guaranties the best combination of safety and service. Captain Manolis Damigos, experienced 30 years of sailing around the world and his well trained crew promises you a fun-filled and safe journey. Our crew is very familiar with the surroundings of Santorini and the Aegean Sea therefore they can suggest an excellent itinerary for those who want to explore the area. Our company specializes in personalized cruises, ensuring the utmost in comfort, service and enjoyment. We guarantee a superb day of sailing in an uncrowned atmosphere. 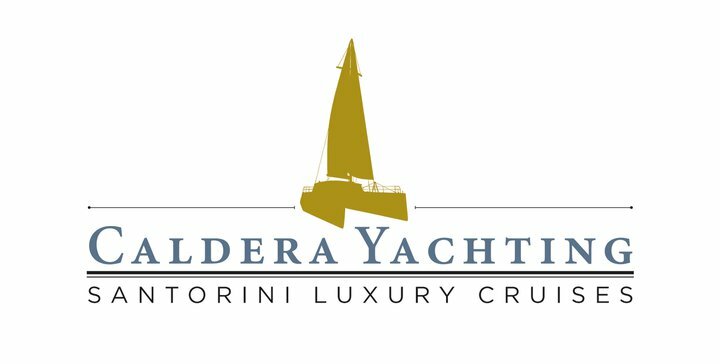 Caldera Yachting offers you the experience of lifetime. We plan the most special cruises around Santorini for making your days in our island an unforgettable experience. We assure you a well-organized, responsive service for all aspects of your adventure. Facilities - For an excellent day of sailing and experiencing all of the facilities or just simply finding your own perfect bit of beach to enjoy, S/Y Atlantis is the way to go. If you are familiar with CALDERA YACHTING, please share your opinion of it with other travelers. Write a review!